The back of this real photo postcard reads: “This picture was taken after a hard battle with Willow River.” I love how his socks sort of disappear into the vegetation, giving the whole thing a bit of a ghostly feel. 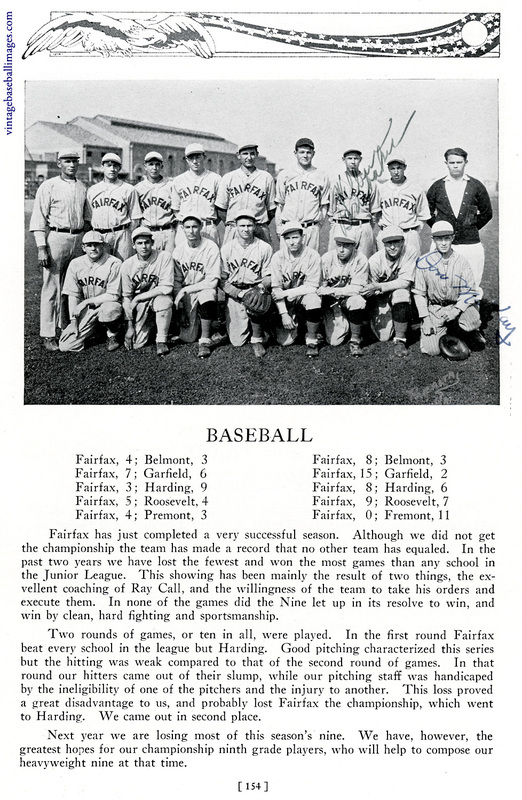 I recently came across a 1927 yearbook from Fairfax High School in Hollywood, and liked how they called the varsity teams from the various sports “Heavyweight” (for the football team they use that term in the title; here it is in the last sentence, where they refer to the “heavyweight nine”). It seems they were a good team, ending up in second place — rather than first — mainly due to some pitching issues. No players are named. 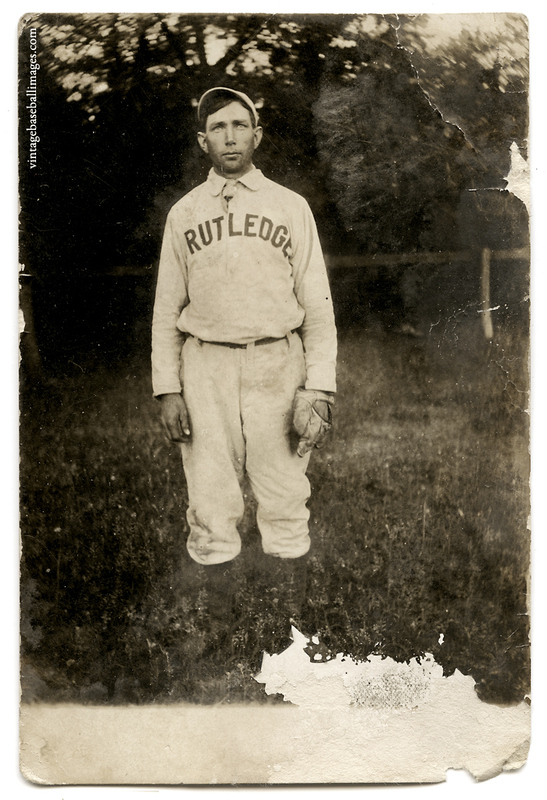 You are currently viewing the archives for March, 2013 at Vintage Baseball Images.